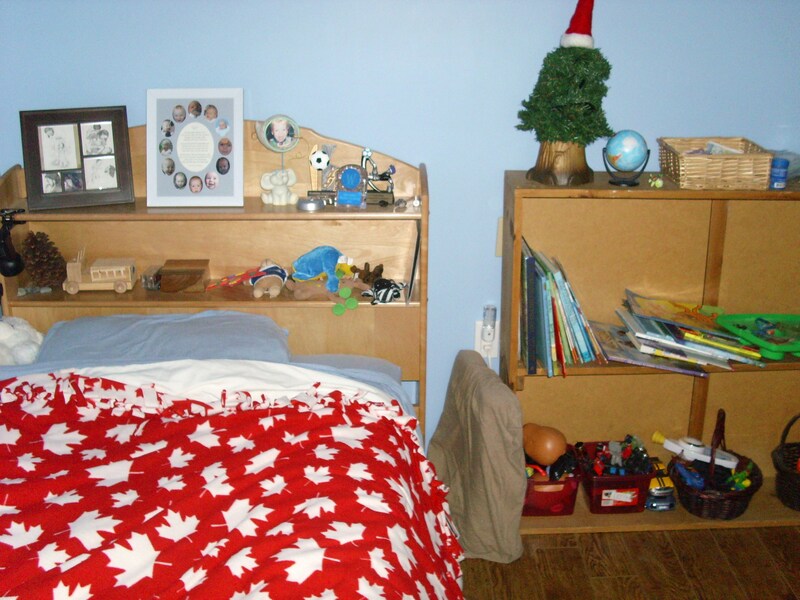 Elijah’s room is where it all began… the first hammer strike happened there… I remember how excited we were to start. It’s strange to be at the other end of it all – I’m so happy we finally made it! 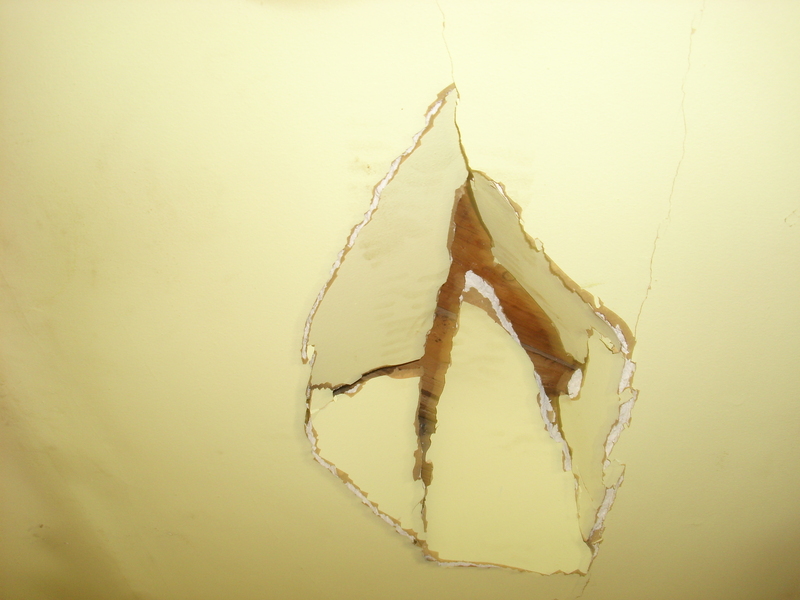 The first wall was struck in Elijah’s room. 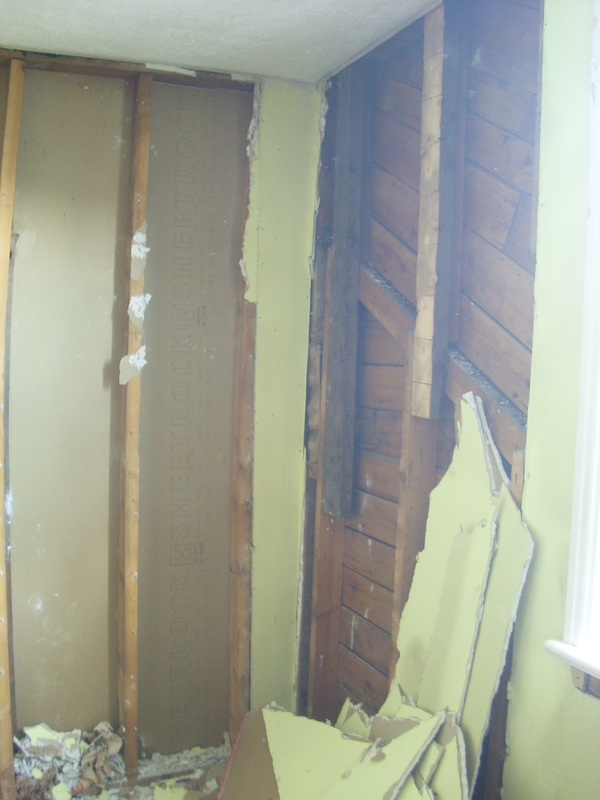 Elijah’s room being demolished – we discovered there was no insulation in the walls – this trend progressed throughout most of the house. 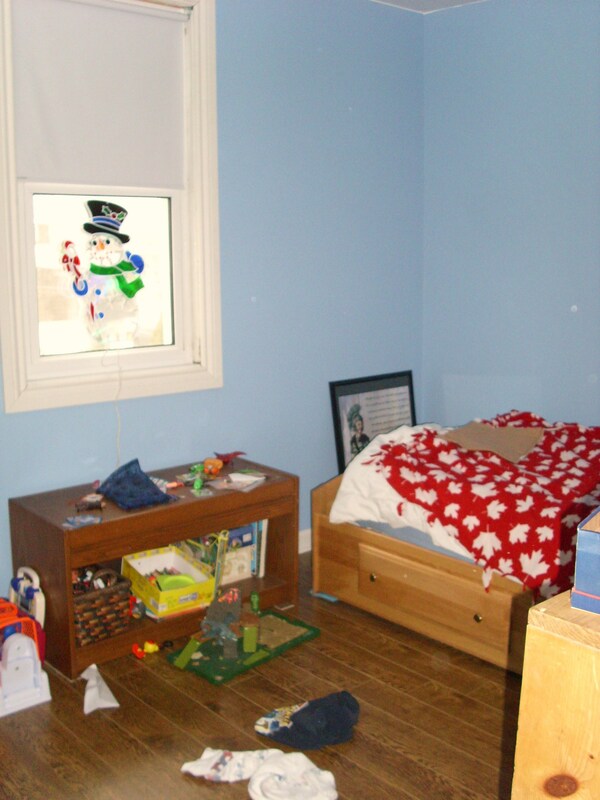 Totally demolished here – you can see straight through from Josiah’s room to Elijah’s room! 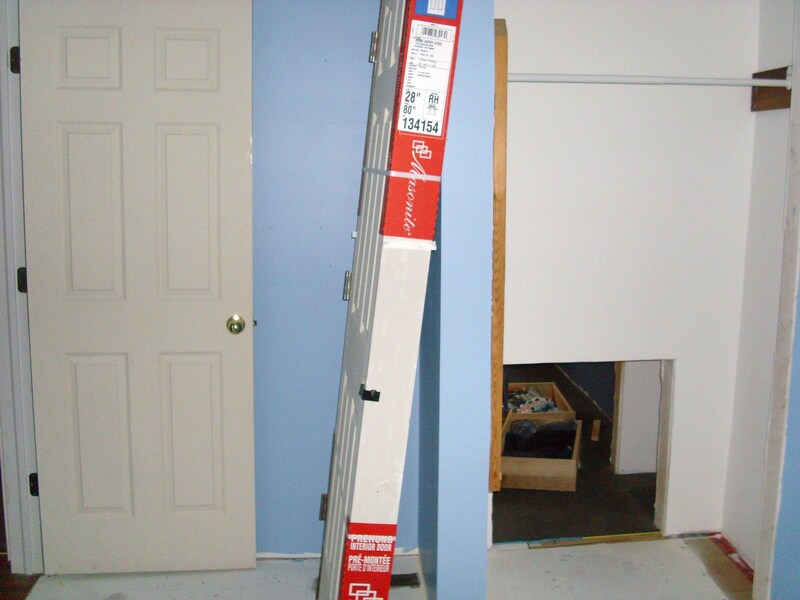 Insulating Elijah’s room – first with scripture, then with R12. 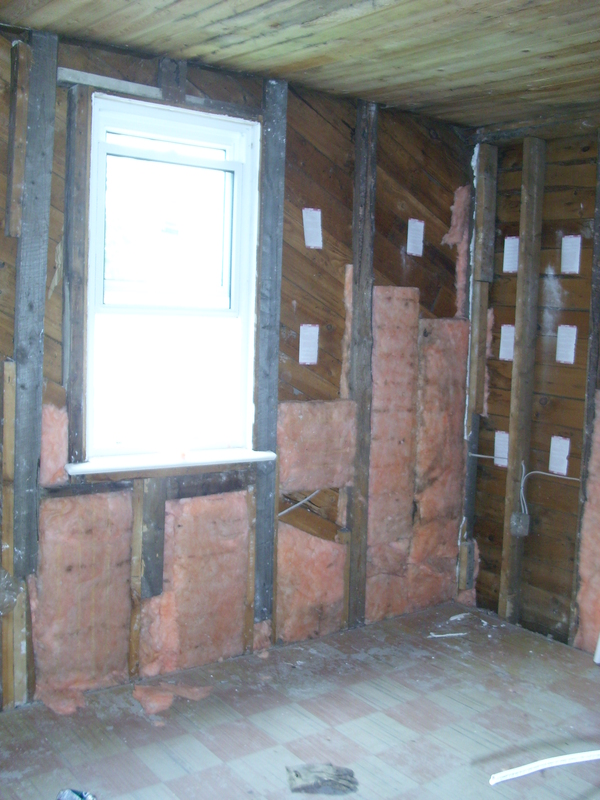 There’s also new wiring throughout the entire house as well. Two wonderful men volunteered their time free of charge to help Josh with this huge task. 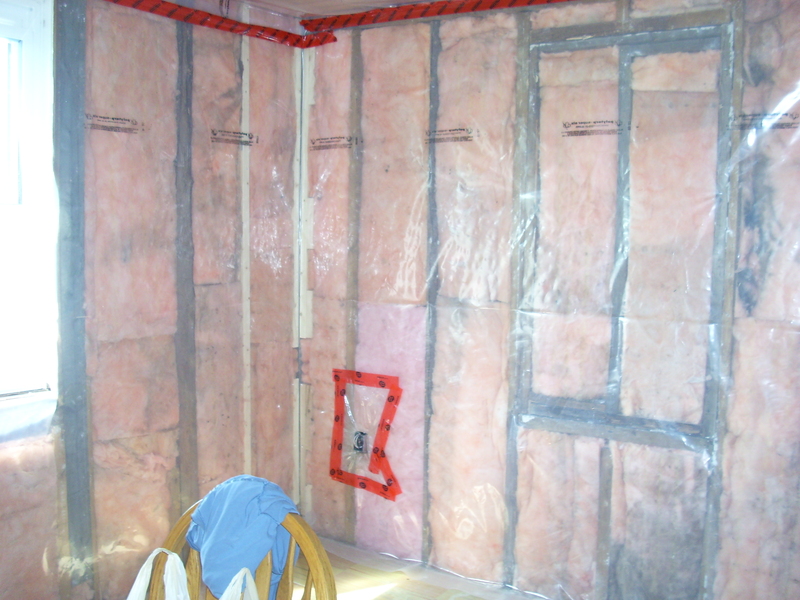 All insulated, vapour barrier is up and ready for drywall. 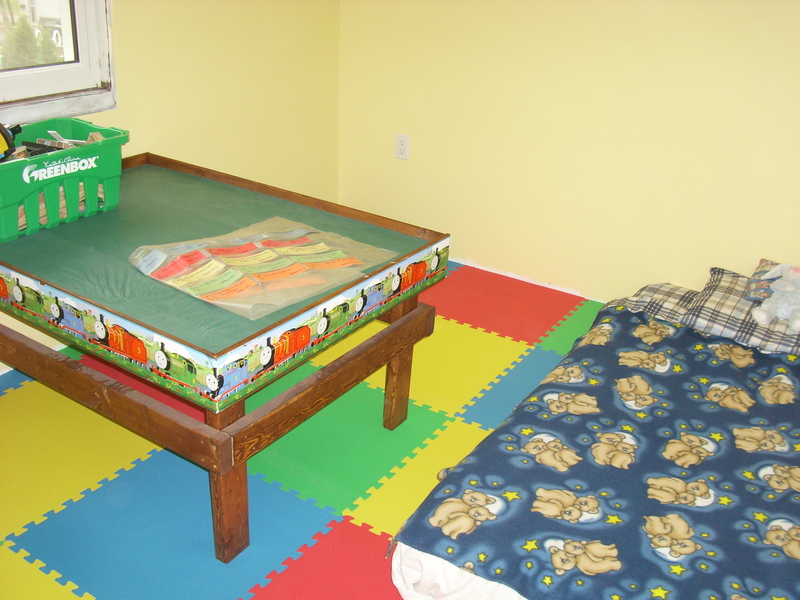 This is Elijah’s room halfway through the renovations – he choose yellow for the wall colour and we put down colourful foam mats for his temporary flooring. We bought him a proper bed soon after this photo was taken. 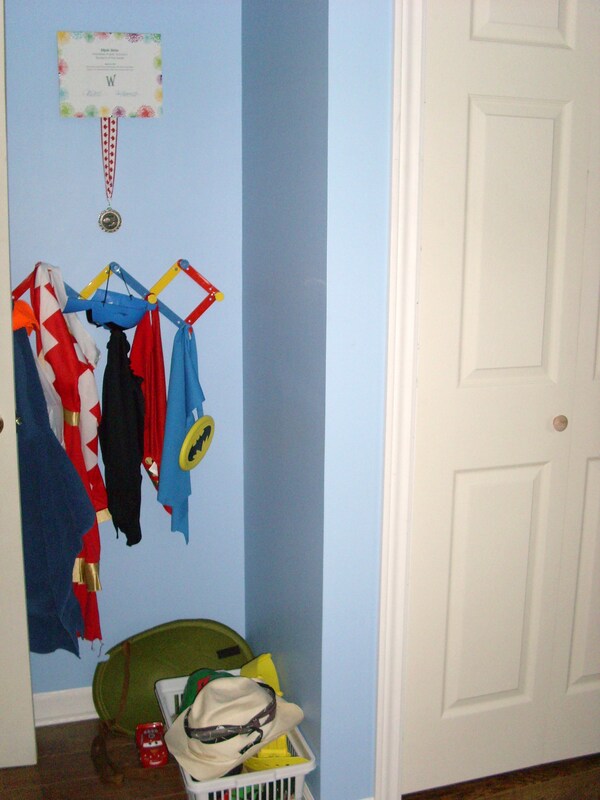 This is before the second round of renovations – he was now about two years older and wanted blue for his walls. 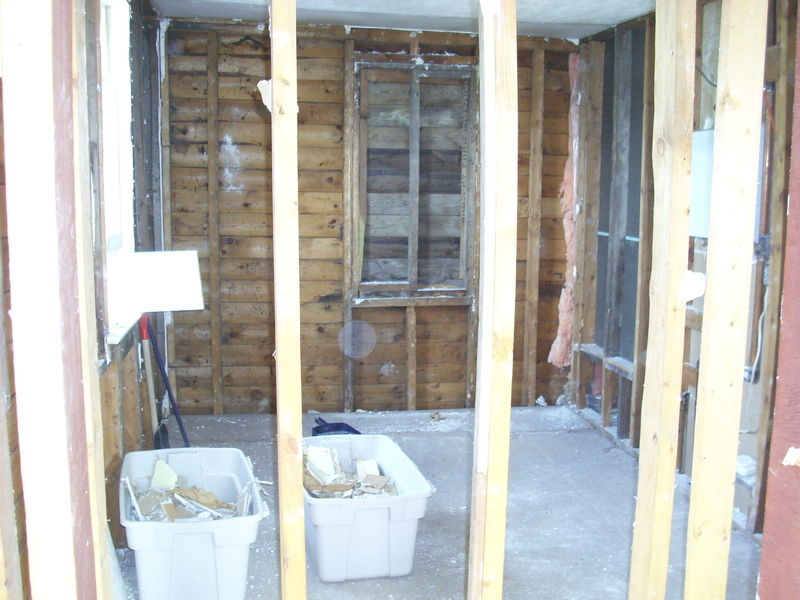 Many of the materials were stored in here while work was done on the other rooms. And here’s Elijah’s room with new flooring and trim. We moved things around a little, put his play table in the playroom and we’re working on getting the room more cozy for him! His new bed and toy shelf that Josh made a few years back. View from the doorway – just needs a comfy area rug, some pictures on the walls and we’re all set! Previous Marriage: What Is Your Vision? I must see this someday!